When Gracie finds out that Napoleon Bonaparte, the monstrous man who tore Europe apart, is going to be coming to St. Helena she is horrified. When she is told to make up a bed for the general in the boarding house where she works she is even more outraged. She won’t have anything to do with the man. After all, hasn’t her father told her again and again how terrible Bonaparte is? So, Gracie loses her job. The girl manages to find another place in a grand house just outside the town where she lives. An important guest is going to be staying at the house and extra servants are needed. Gracie is appalled to discover that the important guest is none other than Napoleon himself. Gracie does her best to stay out of Napoleon’s way but as it happens, the short, portly general will not stay out of her life not matter how much she tries to avoid him. First he helps her out by getting her a better job, and then he arranges for her father to get more work so that Gracie’s life is not so hard. 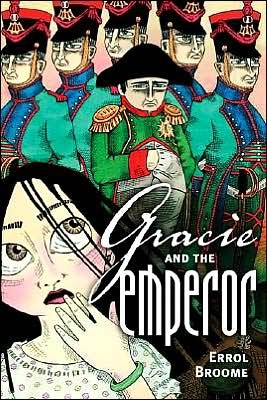 In spite of herself, Gracie begins to think that Napoleon might just be a sad and lonely old man, and not a monster who should be feared and hated. With great sensitivity the author of this book tells Gracie’s story and at the same time he also tells the story of Napoleon who was exiled to the distant and inhospitable island of St. Helena after his capture. In some ways Gracie and Napoleon are alike and we ‘watch’ with fascination as the two come closer and closer, each one reaching out to the other as they struggle with their unhappy lives.